The Interview: TV personality Dave Skylark and his producer Aaron Rapoport score a once in a lifetime opportunity to interview reclusive North Korean Supreme Leader, Kim Jong Un, so the CIA uses this chance to task them with assassinating him. Maybe I’m destroying my street cred as a reviewer here, but I really liked this movie. If you’re the kind of person who finds it offensive when people turn true atrocities into giggles, then obviously, this isn’t the movie for you. But I think most theater-goers who are walking into a Seth Rogan and James Franco comedy about murdering an actual standing dictator know what they’re getting into. The movie made me laugh out loud many times, and there’s something undeniably charming about it’s bold shamelessness.Some call it tasteless, but it was very careful about blasting Kim Jong Un and the North Korean government without ever making light of the oppression of North Korean citizens. The Interview’s toilet humor just added to the film’s overall attitude of disrespect toward Kim Jong Un and all he represents, and it’s hard to be offended by the perspective that starving and imprisoning your people while threatening to blow up the world is a bad thing. So we’re giving it 4 honey pots out of five. Why honey pots? See the movie to find out. 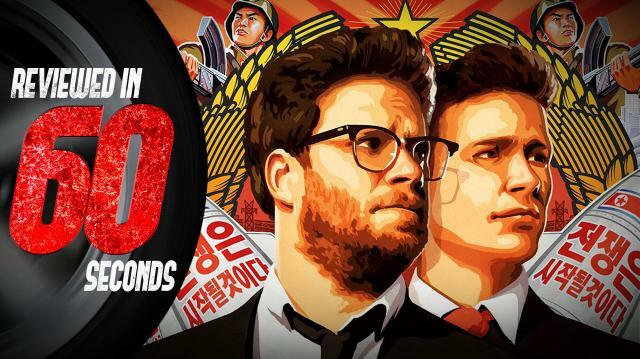 The Interview is now available on YouTube, Google Play, XBox video, and select theaters.